Bike lanes and the homeless. These issues, and perhaps a few others, will likely dominate election discourse beginning today. That’s right, another election. Just as politicians and voters recover from the year leading to November, Colorado Springs kicks off 2019 with another campaign season. It began Wednesday with at least eight prospective candidates obtaining nomination petitions for local offices. Voters will choose a mayor and fill three City Council seats in the April 9 election. 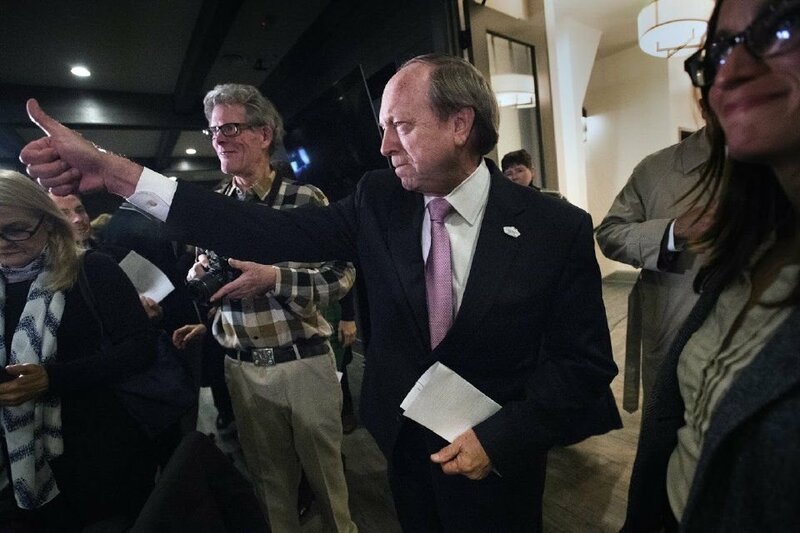 The first term of Mayor John Suthers expires this year, and he anticipates seeking re-election. At least one candidate obtained a petition Wednesday to challenge him, and others are likely to follow. All will embark on the tall order of convincing voters to unseat a mayor with solid record, high popularity, and the distinction of leading US News & World Report’s “most desirable” city in the country. Local elections typically are not won on the bulk issues politicians deal with on a day-to-day basis, such as contracts for major road work, details of sewer bonds, mundane lawsuits, and routine personnel decisions. Elections focus interest on the most emotional and high-profile surface issues. On the surface during the last mayoral election were potholes. Suthers promised to fix the roads, and delivered by convincing voters to fund massive and overdue improvements. On the surface in this year’s election, for council and mayoral candidates, are miles and miles of bike lanes added to city streets by city Traffic Engineering Manager Kathleen Krager. Some residents love them; others despise them. The conflict plays out almost daily in The Gazette’s letters section, in our comments sections, on social media, around water coolers, and at coffee shops and cocktail parties. Regardless of anyone’s view of on-street bike lanes — most are entirely for or against them — they provide a simple wedge issue that could make for constructive community dialogue and good competing ideas. When residents aren’t talking bike lanes, they often discuss the seemingly intractable dilemma of homeless residents camping visibly throughout the city in tents, boxes and shanties. As a community of compassion, we try to assist the homeless. It is never simple. We must do so in a way that does not make problems worse for the health and safety of the homeless and the vast majority of resident who live in houses, condos and apartments. The public will likely reward candidates who offer the must constructive and viable solutions to this dilemma of human suffering and community health. The Gazette’s news and editorial pages will work to provide readers with insights on issues and candidates during the three months leading to election day. We hope candidates keep their campaigns substantive, honest and fair. It’s an honor and privilege to serve, or to seek public office, in the country country’s most desirable city.